Treat yourself with an indulgent stay at Annabelle Hotel. 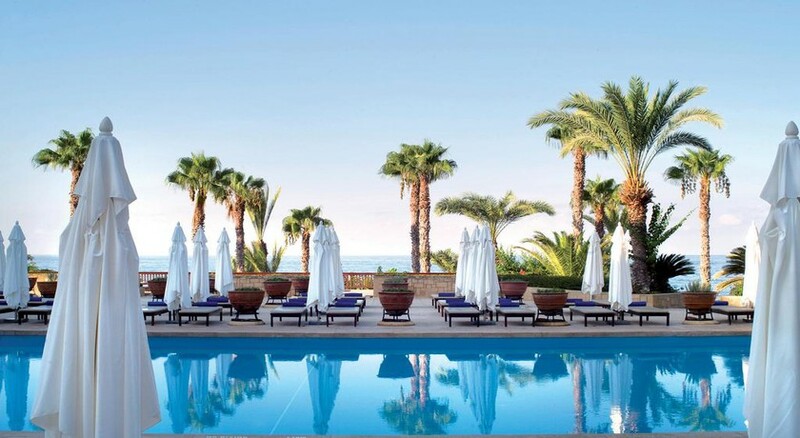 One of the finest in Paphos, Annabelle Hotel offers its guests stunning accommodation, a myriad of fine restaurants as well as a desirable beachfront location, which makes for a great family-friendly holiday or a romantic getaway spot for couples. Paphos International Aiport is just 16 away and the nearest beach is a mere short walk from the hotel. 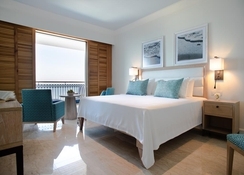 Guest rooms and suites are beautifully decorated, spacious and airy, making for a relaxing atmosphere. There are four restaurants and five bars on site, so you will never be short of incredible dining experiences. Restaurants here serve some of the finest food in Cyprus, catering to both local and international tastes. You may just want to relax on the lush warm sands of Alykes Beach, however, there are great places to explore out in Paphos such as the historic sites of Paphos Archaeological Park and Tombs of the Kings, museums, water parks and so much more. You will find Annabelle Hotel in a prime spot, just 16km from Paphos International Airport and situated right on the beachfront. It’s central coastal location also puts it within easy reach of various conveniences such as local shops, cash points and supermarket. Great retail shopping can be found at Kings Avenue Mall, less than two miles north. 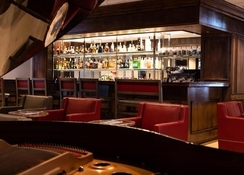 You won’t find it hard to grab a delicious bite to eat or fine drink as Annabelle Hotel is surrounded by a range of excellent restaurants serving international and local cuisine. The popular Paphos Archaeological Park is less than a mile away and Paphos Waterpark is less than a 10-minute car journey. Annabelle Hotel has 244 beautifully decorated and well-furnished rooms and suites. You’ll find all the basic amenities in the rooms including T.V., wi-fi, tea and coffee making facilities, private balcony and little flourishes such as a bathrobe and slippers, elegant marble bathroom and fresh fruit awaiting you on arrival. 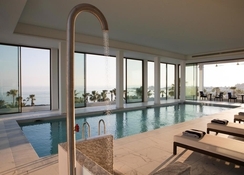 Rooms will have a view over either the Mediterranean Sea, lush gardens or historic Paphos. Guests will feel rejuvenated in their room with its artisan furniture, neutral, delicate tones and sliding doors which open to admit plenty of that Cypriot sun. Rooms generally sleep up to two guests with extra bed or cot available on request. No matter where you choose to dine at Annabelle Hotel, you will be able to enjoy both great food and atmosphere. There are five superb restaurants available to choose from all proud to serve the finest Cypriot cuisine. Ouranos allows is a rooftop lounge and bar offers guests all-day dining with stunning views across the Mediterranean Sea and Paphos Harbour. The main restaurant, Fontana, serves international and local dishes with a buffet breakfast and lunches, which also puts on fun theme nights. There are several bars including the Byzantine Bar with drinks and entertainment in the evenings and the Grotto Bar which guests can simply swim up to. There’s plenty on offer to keep guests busy in the best way. 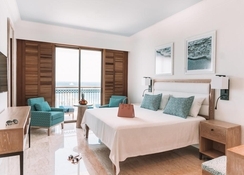 Guests have access to facilities at the sister hotel, Almyra Hotel, located next door to Annabelle Hotel including the adults-only infinity pool, a spa, gym and tennis courts as well as a Kids’ club to keep younger ones entertained. Alykes Beach is just a short walk away as the hotel is located right on the beachfront. Annabelle Hotel is ideally located to great Paphos attractions including two water parks, Paphos Waterpark and Paphos Luna Park less than three miles from the hotel. Those looking to take in little local history will love Paphos Archaeological Park under a mile’s walk and the nearby Tombs of the Kings.